Today I'm getting all lovey dovey with a Little Yellow Bicycle Just Because card that would be perfect for an anniversary or wedding. I backed a silver chipboard heart with patterned paper and layered a banner sticker over the heart to add some depth. The pearls and bow are simple and classic finishing touches. This is gorgeous!!! I loveeeeeeeeeee the colors and love love love that heart!!!!! Oh, I love that heart! Must go check out that chipboard. Such a pretty composition. Lisa. You did an amazing job creating with this line. Great colors - beautiful card! Gorgeous card Lisa! Love the blue's together!! Sweet!! so beautiful! i love that silver heart!! Such a sweet card! I love this collection!!! ooooo pretty card. I love the colors and papers. yum! This is beautiful anytime. I like the bold colors instead of the soft pinks and white people usually use. This is one I would happily give to someone. So pretty! I am loving that silver chipboard! So absolutely gorgeous! 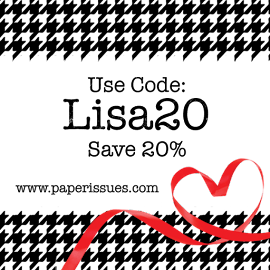 I love the heart! I absolutely love those blues and reds together Lisa! Beautiful card! Beautiful! Love all the little details...ribbon and pearls! Beautiful! I love the mix of patterns. Such a beautiful card, Lisa!! 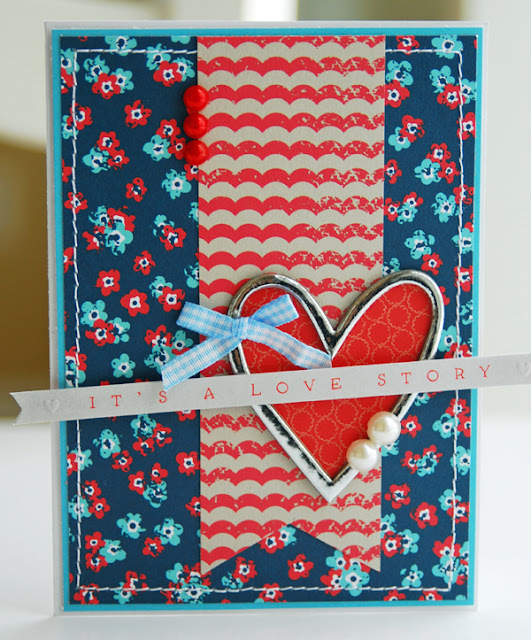 Love the patterns you put together and the chipboard heart! Beautiful card, I love that silver heart! Oh this is so beautiful! Love these colors and awesome design! ADORABLE card Lisa, I LOVE it! I do love this collection and your card! Beautiful! beautiful card! LOVE the depth of that heart!